New to soaring? 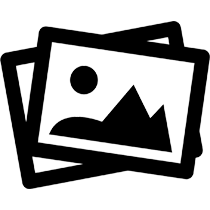 Have years of flight experience under your belt? 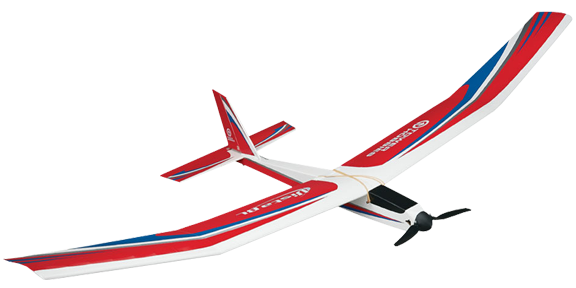 Regardless of your skill level, the Vista BL is a superior electric sailplane. 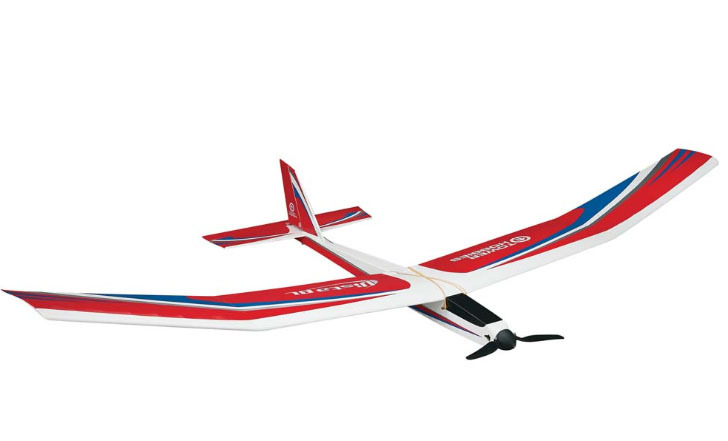 It's just as capable of slow-and-steady gliding as it is chasing thermals! 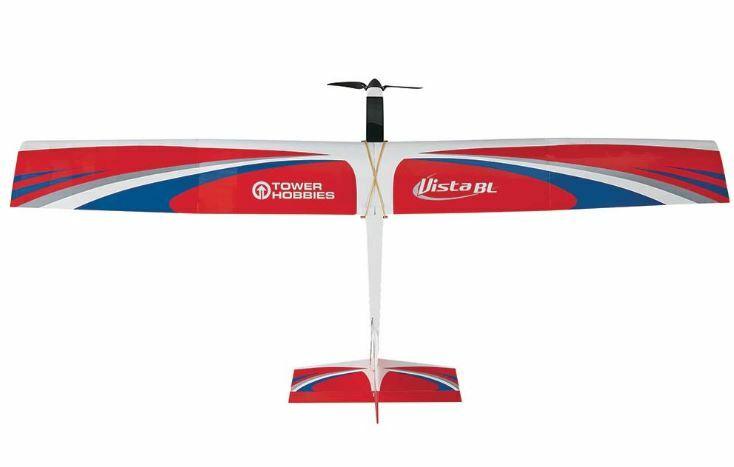 A factory-installed 1000kV brushless motor and LiPo-compatible 30A brushless ESC allow the Vista BL to aggressively climb to thermaling altitudes in a few seconds. 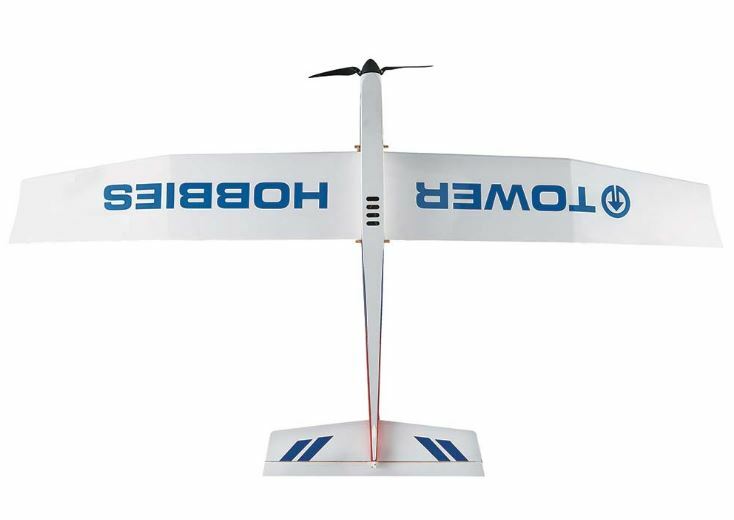 The plane's low parts count helps keep assembly time down to a mere 2-3 hours. 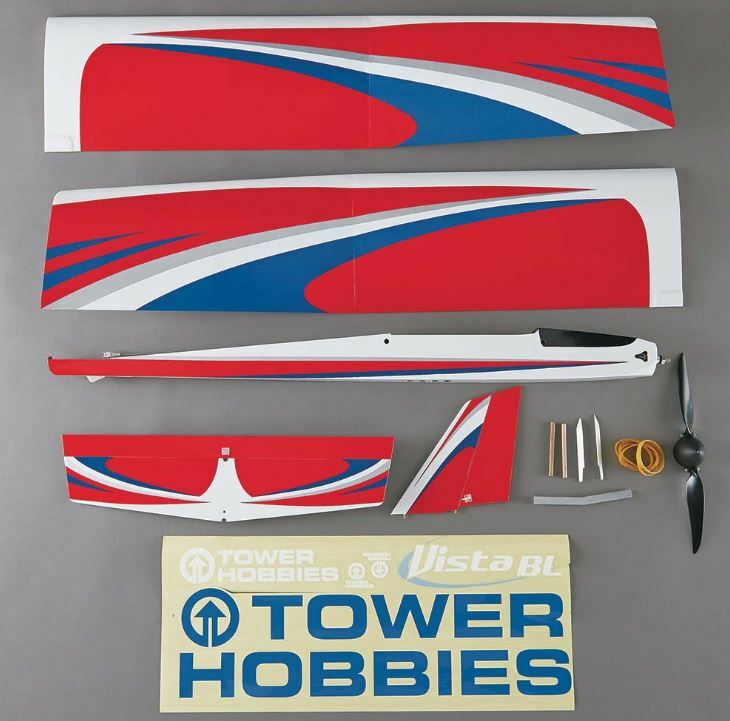 A factory-applied trim scheme helps the Vista BL stand out in the air – and on the flying field. Remove the easy-access battery hatch, and you'll find there's plenty of room inside the fuselage for a 3S LiPo battery. 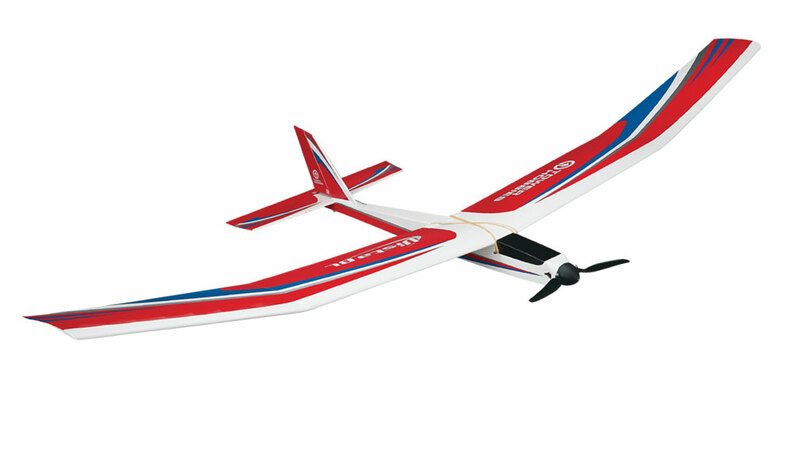 Built-up, lightweight balsa and ply construction makes the Vista BL easy to repair. 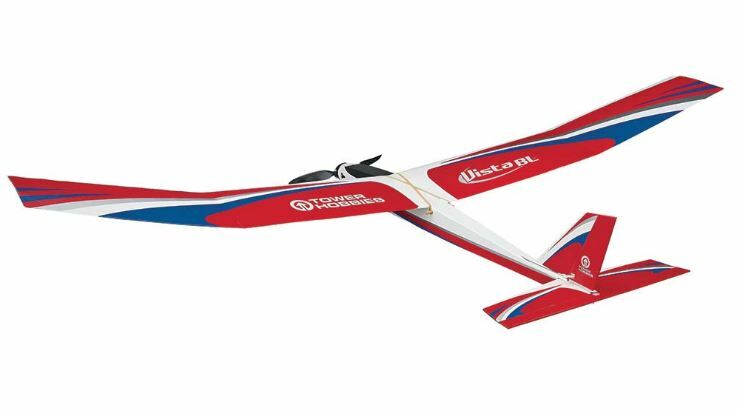 A 12x6.5" folding propeller and dynamic decals round out everything this spectacular glider has to offer. Aggressive climbs to thermal-catching altitudes in seconds. Powerful 1000kV brushless motor and LiPo-compatible 30A brushless ESC provide a wide flight envelope. Factory-covered in colorful, quality heat-shrink film. Prehinged tail surfaces and factory-installed control horns. Spacious interior for installation of micro or standard servos. Low parts count for fast, trouble-free assembly.